At an event in London, Huawei took the wraps off the P9 and the P9 Plus. This follows along a long list of spec leaks for the devices, and they are exactly what we came to expect by the end. Starting off with the design, both devices have unibody builds made out of metal, and these sport a brushed metal finish on the back on certain variants and a smooth finish on the others. The design resembles a mashup between the honor 5X and the Nexus 6P, and that is in no way a bad thing as both of these phones were praised for their premium feel. The P9, as one would expect, is the smaller of the two with a 5.2″ IPS LCD display with an FHD resolution. On the inside, the P9 is powered by Huawei’s Kirin 955 SoC sporting an octa core setup with 4x Cortex-A72 clocked at 2.5GHz and 4x Cortex-A53 clocked at 1.8GHz. 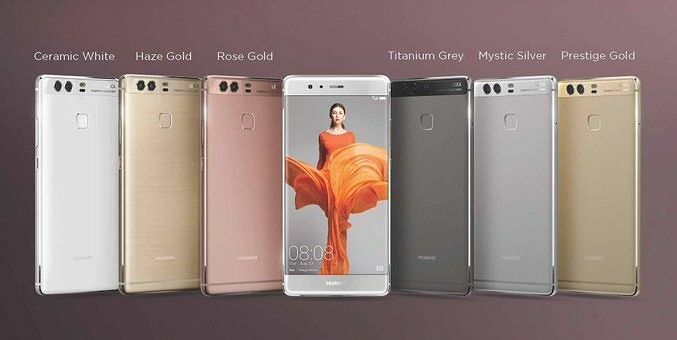 The Huawei P9 has two variants, a trend that is becoming popular among Chinese manufacturers: the base variant with 3GB of RAM and 32GB of internal storage, and the other variant with 4GB of RAM and 64GB of storage variant. You also get microSD card expansion thanks to a hybrid dual SIM slot, but which option you get was implied to be limited to dual SIM functionality for Asia, and single SIM and microSD functionality for Europe. Huawei has made sure that their flagship does not lag behind the other specifications as well. You get the typical goodies as well, like a USB Type C port and a decently large 3,000 mAh battery. There’s a fingerprint sensor on the back, which Huawei claims now does 3D fingerprint sensing. There’s an added IR Blaster on top of the device too. The major highlight of the P9 and the P9 Plus is definitely the camera setup. Huawei’s latest flagship boast of dual cameras on the rear, which come to us courtesy of a “co-engineering effort” with Leica. This is advertised clearly on the phones as well, thanks to the branding on the back camera strip. The setup consists of two 12MP camera with f/2.2, with one of them capturing color and the other working with only black and white. The cameras apparently work together to give you more details under good lighting conditions and less noise in poor lighting conditions. 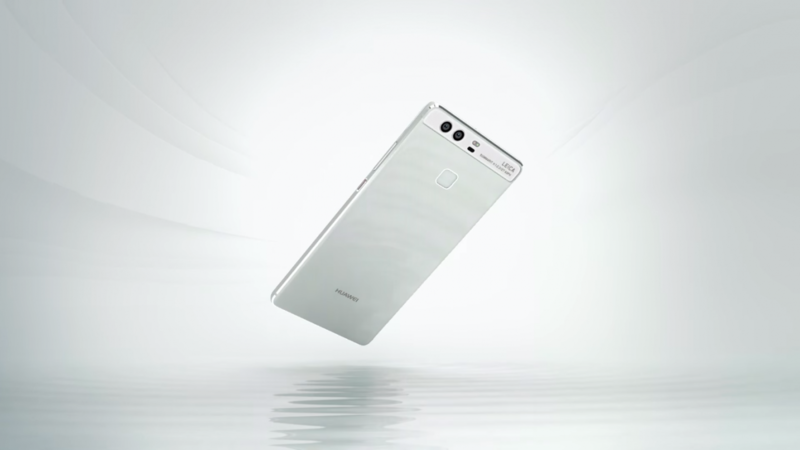 For autofocus, Huawei has made use of a combination of laser AF, contrasts-based AF and depth calculation. Notably missing from the spec list is Optical Image Stabilization. You do get full manual controls, which comes as a no-brainer in a phone focused towards photography. Comparatively, the front is a fairly simple 8MP shooter with f/1.9. This was all about the P9. What about the P9 Plus? The P9 Plus differs from the P9 in a few areas. Namely, you get a bigger 5.5″ FHD Super AMOLED display, which also comes supporting what Huawei is calling Press Touch. Press Touch is a fancy name given for pressure sensing displays, similar to Apple’s Force Touch. Expectedly, functionality is limited to only 18 apps on launch. The P9 Plus also gets an increase in battery capacity, with a 3,400 mAh battery. Huawei also boasted of stereo speaker output, but the speaker holes are on the bottom frame of the device. The P9 Plus comes in a single 4GB RAM plus 64GB internal storage variant. 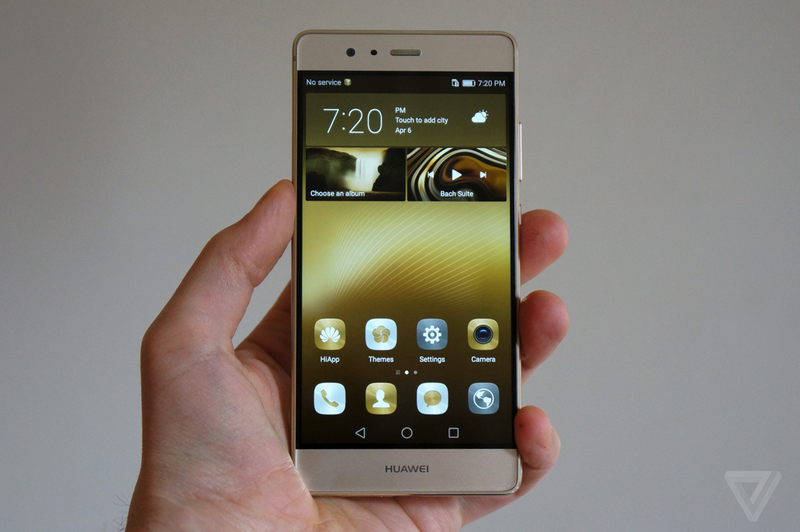 Both the P9 and the P9 Plus come with Android 6.0.1 with Huawei’s EMUI 4.1 skin on top. For pricing, the Huawei P9 is priced at €599 ($685) for the base 3GB variant, while the 4GB variant will cost €649 ($740). The P9 Plus on the other hand, will set you back a healthy €749 ($855). The P9 and P9 Plus will be available from April 16, with Europe and Middle East targeted in the first wave. What are your thoughts on the Huawei P9 and the P9 Plus? Do you look forward to purchasing these? Let us know in the comments below!